‘Jackie, Thanks a lot for the session last Friday. Very relaxing and allowing to go deep down. I also enjoyed the positive energy that was in the room but most of all, I loved the fact that I could approach some deeper areas of myself, enjoyable or a bit more painful. Those exercises opened the path for even better. I will definitively join again… F.P. ‘Jackie’s coaching is not only practical but she also has the intuitive ability to take you to a higher awareness of who you really are and what it is you want to go for to live the life of your dreams’. R.W. ‘I want to thank you for hosting the ‘light grids’ meditation event. It was a powerful experience I connected with my body and mind, and for the first time that deeply! Clearing all the negative energy has resulted in me feeling more positive, focused, and energetic. I felt at peace, and was able to let go of past emotional pain, as well as forgive myself. I feel empowered, conscious, and aware of my intention. I would recommend this experience to anyone who has not shared it so that they too can connect with their inner self. I would love to see you in your next London event, and until then I will keep practicing, and meditating. 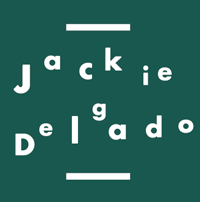 ‘Through her inspiring coaching sessions Jackie Delgado showed me how to focus on what really matters and helped me overcome my restraint in choosing my only right path – meeting Jackie was a true gift from the universe!’ R.L. ‘Jackie is a natural leader and knows exactly how to guide and structure the sessions’. ‘Jackie gives each person enough room to feel heard and she guards that you only share with the group what feels appropriate and safe to you’. ‘The Group coaching session has given me an enormous sense of belonging because I could connect deeply with people who are also on their journey of personal development’.